Wales might a small country, but it punches above it’s weight when it comes to dramatic landscapes, fantastic walking and charming towns. It’s the perfect location for a road trip – with wonderfully diverse regions only a short drive apart. My travel guide shares my secrets for visiting the wild Gower, coastal Pembrokeshire and and marvellously mountainous Snowdonia. I love a road trip. There, I’ve said it. You can take the glamour of air travel and the speed of train travel, but for me there will always be something magical about travelling on four wheels. It cries out for spontaneity, for exploration and for taking that next turn because it looks interesting. A road trip is an exhilarating way to explore a long way from home, but it’s also a brilliant way to see what’s just outside your door. Being based in the south of England, for me this means that wonderful Wales is only a few hours away by car. This pretty little country, home to breathtaking mountains, rugged coastline and colourful towns, is virtually on my doorstep. So today I’m sharing my three favourite locations perfect for a Welsh weekend getaway. Or, if you can manage a longer stay they’re only an hour or two away from one another (so you can sandwich them together for a week or more of adventures). Wales may be close to home, but it still feels like an adventure. From the vintage charms of the seaside resort of Mumbles to the glorious expanses of golden sand at Rhossili, there’s plenty to keep you occupied on the Gower peninsula. Just a short skip and a jump from the bustling city of Swansea (where Saturday night on the town is quite an experience), you’ll find this peaceful corner of the Welsh countryside. Within a short drive of city centre you’ll find hidden coves, lush heathland, ancient castles and windswept clifftops that’ll take your breath away. It’s a surfers paradise, and a walkers one too. You can spend days exploring the many miles of coastal path, or bask in the glory of a British summer with a day at the beach. 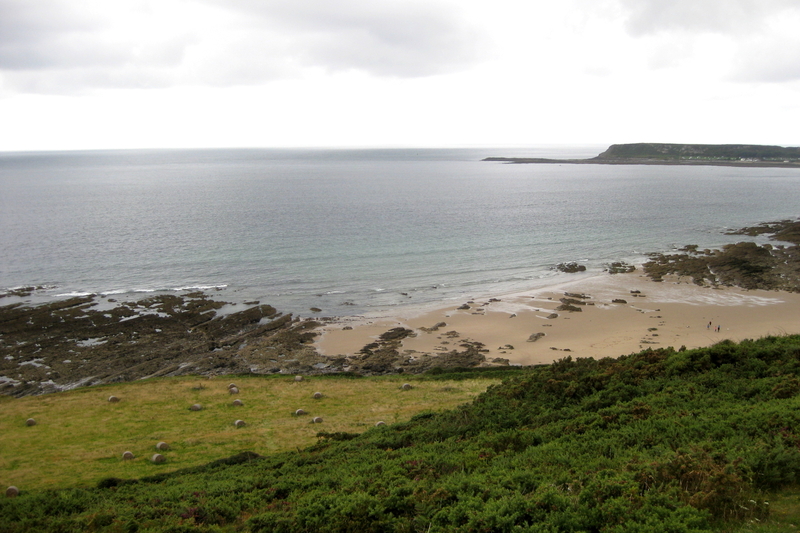 Oxwich bay is a gem that’s tucked far from the madding crowds between heather-carpeted headlands. For something a bit different, make your way to the small village of Rhossili. Don’t be put off by the rather extortionate parking charges – I promise it’s worthwhile. Head off along the seemingly unexciting grassy headland until all of a sudden the landscape opens up in front of you. To your right, a breathtaking stretch of sandy beach extends into the distance. It’s been rated one of Europe’s best beaches, and it’s not hard to see why. To your left, at the far end of the headland sits the Worm’s Head, an oddly-named but ruggedly beautiful tidal island that adventurers can reach by scrambling across the rocks at low tides. Base yourself in Swansea. 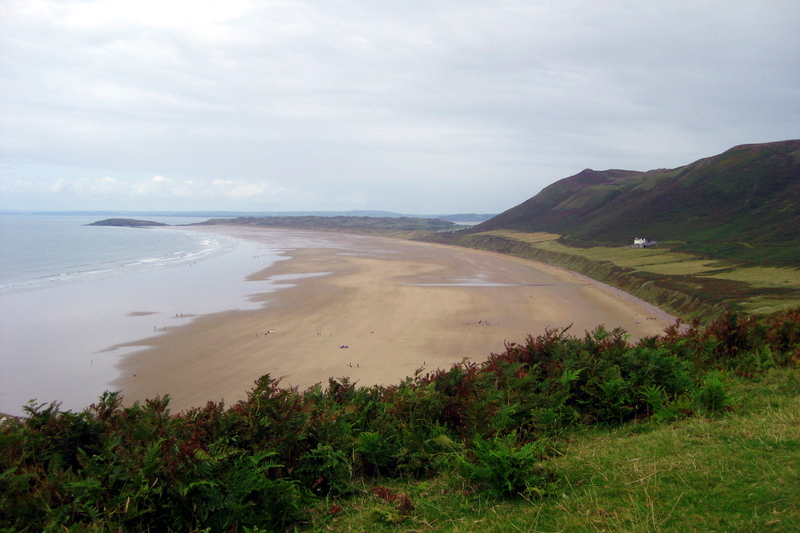 There’s heaps of good value accommodation, and the Gower is only a twenty minute drive away. It’s a great stop en route to Pembrokeshire if you’re taking a longer trip. Head west as far as you can go in Wales and you’ll reach Pembrokeshire. Tucked away from the hustle and bustle of South Wales, it’s home to stunning sandy surf beaches that rival anywhere in Europe and charming fishing villages where the way of life has changed little in the past few hundred years. It’s perfect country for hiking and cycling, so to make to the most of your visit you’ll want to explore on two feet or two wheels. 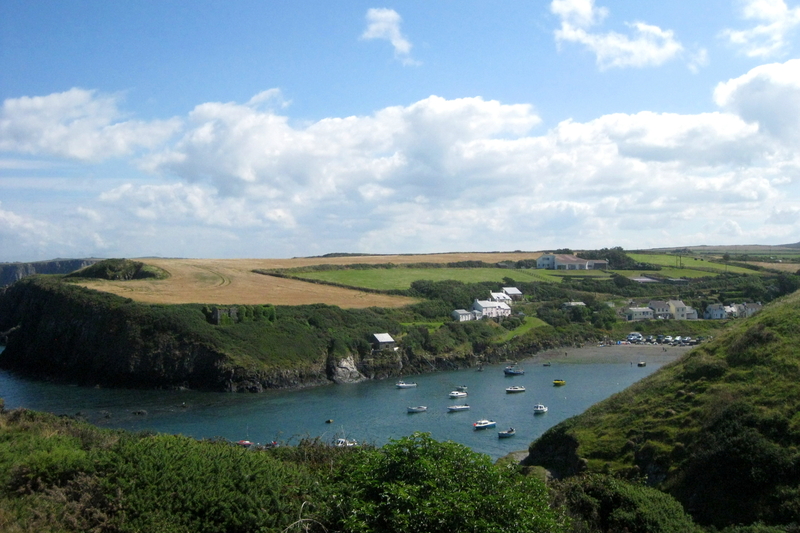 The coastal path, close to the picturesque village of Trefin and ports of Abercastle and Porthgain, is spectacular and makes a great day’s walk. Sandwich with a pub lunch and a little meandering inland to make a circular route. If sand and surf is more your thing, Whitesands bay is only a few miles away and one of Wales’ best-kept secrets. There’s fantastic camping on the headland with views over the expanse of silver sand below. At the end of the day, head to Solva harbour for sundowners and to watch fishing boats and yachts make their sedate way up the estuary for shelter overnight. 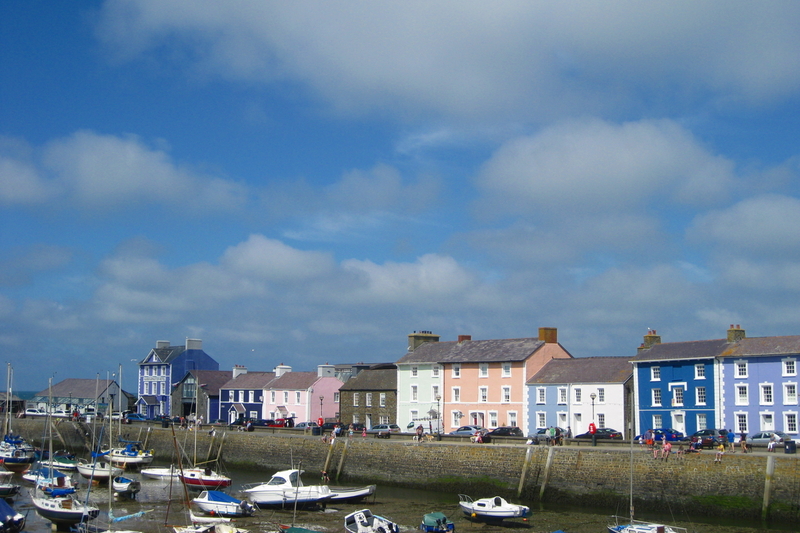 Alternatively St. Davids, the smallest city both in Wales and the whole of the UK, is only a few miles away. It’s a cosy little market town packed with picture-perfect cottages and pleasant pubs for whiling away an evening – just what you need after a long day on your feet. 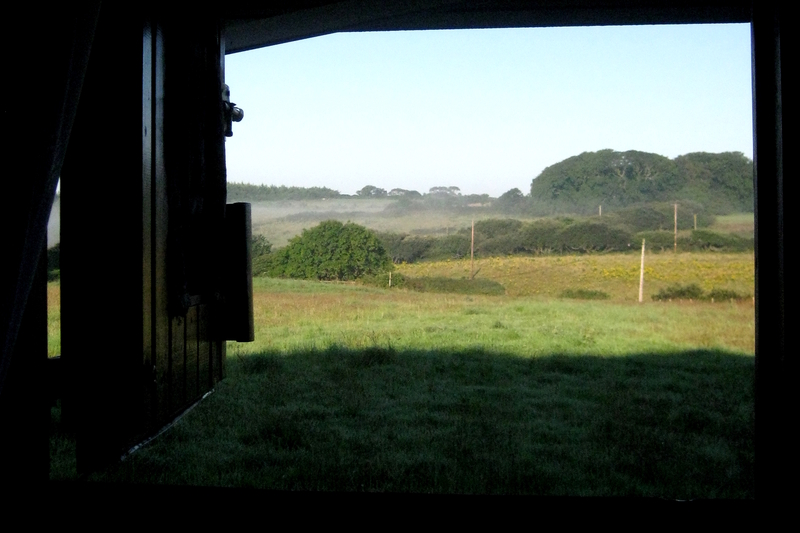 For a truly magical getaway, try Lottie the Lorry tucked away in rural Pembrokeshire. Having travelling the world, she’s come to rest on an idyllic farm near St. Davids. This bohemian, converted lorry is a comfortable, cosy holiday home for two with breathtaking views over the Welsh countryside. Watching the sun rise over the misty fields beyond, and the stars overhead as we barbecued on our own terrace was beyond wonderful. We stayed in the lovely Lottie for two nights in August 2015 and booked through Quality Unearthed. 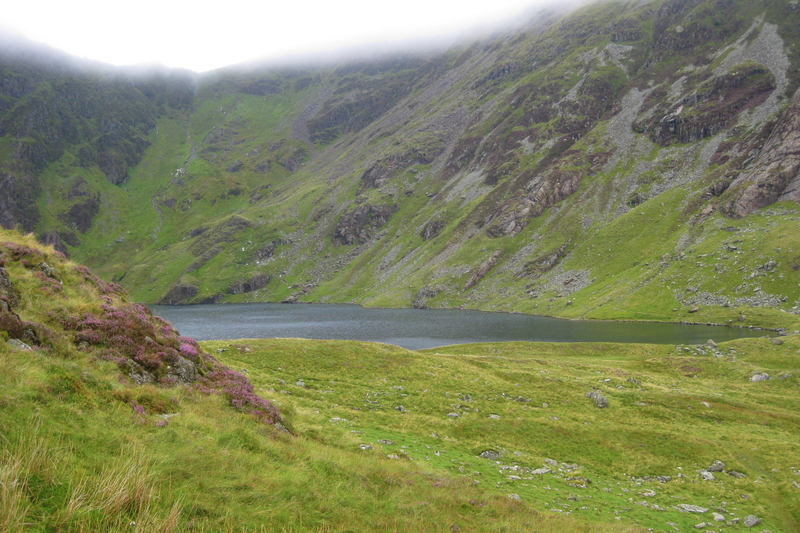 Snowdonia is the holy grail of hiking in Wales. Aside from it’s namesake Mount Snowdon, there are countless peaks and valleys that you could spend a lifetime exploring and never tire of. Whether you’re visiting for the first time, or returning for new adventures, I’d recommend seeking out some of the less well-known mountains and walking trails. My favourite is Cader Idris to the south of region. A steep path winds through the wooded hillside above the valley floor and eventually opens out onto pasture high above the treeline. Here you’re greeted by babbling streams running through the vibrant coloured heather underfoot, steep rock faces and tumbling stone paths than climb higher and higher. The crowning glory is the stunning tarn that sits surrounded by jagged peaks. It’s the closest I’ve ever felt to the Alps at home. We chose the remarkable St. Curigs Church, a few miles from Betws-Y-Coed, for a stay with a difference. A converted stone church, St. Curigs Chapel offers bed and breakfast as well as a bunkroom in one of the most spectacular buildings I’ve ever been lucky enough to stay in. The four-poster bed and hearty Welsh breakfast aren’t bad either. Of course, there’s much much more to Wales that just these three regions. But they’re a great starting point for any adventure, and places I’d happily return to again and again. And as for other days on the road, where do you recommend? What are your favourite Welsh wonderlands? Thanks Emma, it’s a beautiful piece of coastline and now is the perfect time to explore it. Best of luck with any future adventures in Pembrokeshire!